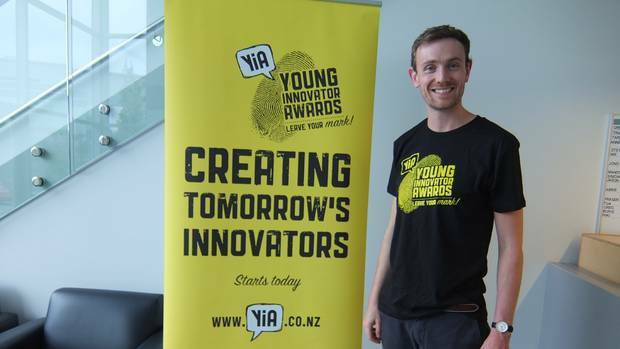 The Young Innovator Awards (YiA) this year is focused on creating the innovators of tomorrow by taking them through the realities of finding ideas by examining problems, say organisers. "I wanted to make innovation more real, especially for teachers," said Callaghan Innovation's Anne Gibbon, the guest speaker at last week's launch, which drew more than 100 representatives from secondary schools, business and local government. Stacey Jones, YIA project manager and Reuben Woods from Woods, The Creative Agency addressed the audience on the key theme for this year - Creating Tomorrow's Innovators. YIA has also announced a new award called Bright Idea Challenge for intermediate students in conjunction with House of Science, sponsored by Plus Group. Ms Gibbon is an American with a distinguished US Navy service record, and a noted amateur boxer, who became an education expert focused on innovation. She is serving a one-year term as Maori business innovation manager for Callaghan. She told the Bay of Plenty Times the word innovation was way over-used. And she noted that rather than focus on "awesome ideas", students needed to be encouraged to be creative and focus on people and solving problems. She noted that discussion on Steve Jobs' success tended to about his genius in developing the Smart phone, but not about the journey leading up to it, which included several failures. I tell teachers to encourage students to go and talk to people they care about and start there. First you need to identify a need and a challenge, start brainstorming that, and then you come up with some interesting ideas and products. Innovation is really just spending a lot of time working on a problem. There is no first perfect idea. Bluelab product development manager Jono Jones, who took 22 teachers through a two-hour learning by innovation design workshop after the launch, echoed the same theme. To prepare for the workshop, he talked to local principals and teachers about how innovation was taught in schools. My key insight was that one of the biggest barriers to entering the YIA for some of the kids was not having an idea. Mr Jones said the workshop demonstrated a very quick and compressed process that was very translatable into schools. I took the teachers through reframing the process, making the point that you don't start with an idea, you start with a problem. Then you talk to people about the problem, observe and watch and really understand where the need is, then you create ideas to solve the problem. In business generally there's a big shift towards that process. Deadline for secondary school students, 1 July. Registrations at www.yia.co.nz. YiA Innovation Showcase at Bayfair from 1 August. Supported by: Priority One's Instep Programme, Woods, The Creative Agency, Bluelab and Plus Group Horticulture. By David Porter, Bay of Plenty Times.